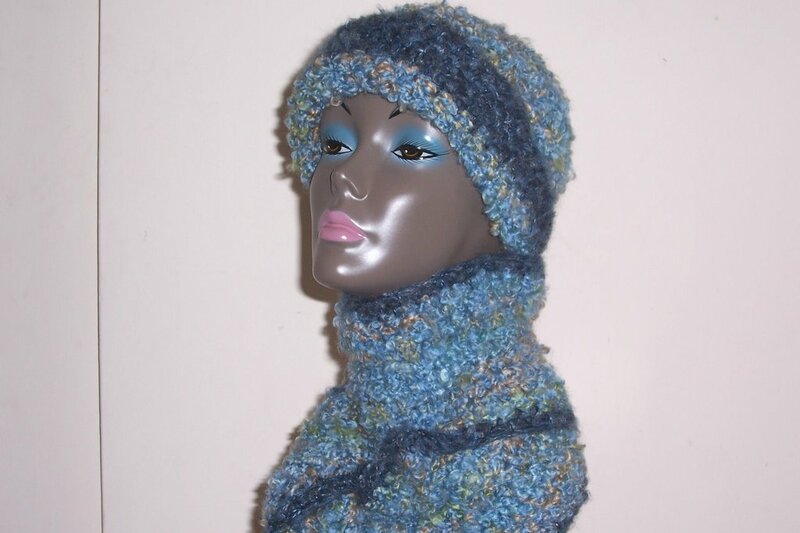 The blues.....done in Tahoe Blue boucle yarn and Riverblue mohair... the close-fitting hat and plush scarf are all the rage. 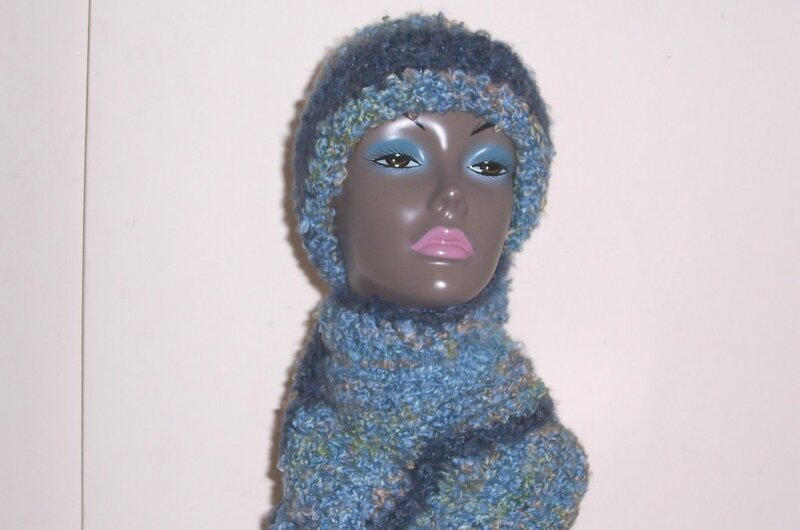 Hats and scarves are incredibly important because the hat frames your face and the scarf wraps your neck in softness. Hats and scarves are the finishing touch to any winter attire and gives you that polished look. It's really one of the most fashionable and functional accessories you can own.